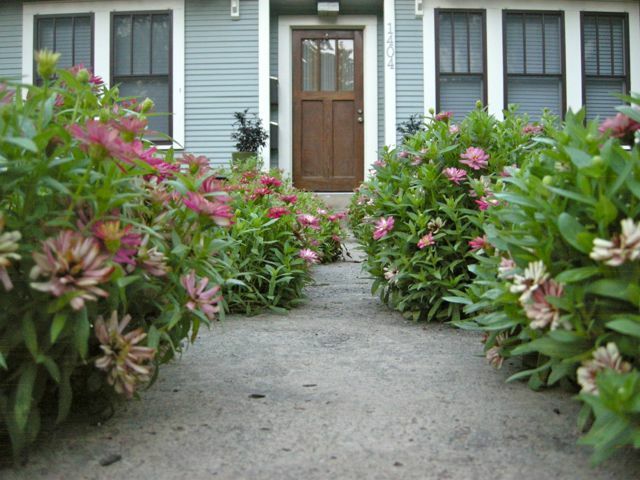 Zinnias flourished this summer along the front walk. It’s officially fall, and the zinnias I planted along the front walk right after we moved in are looking a more colorful again after the furnace blast of August and early September. Too bad it’s time for them to go; tomorrow the concrete walk comes out to make way for a curvier path of gray gravel. They’ve been cheerful and welcoming. I’ve saved the bulbine that waved above zinnias. A pair of Mexican feather grasses will also be transplanted to the new garden. 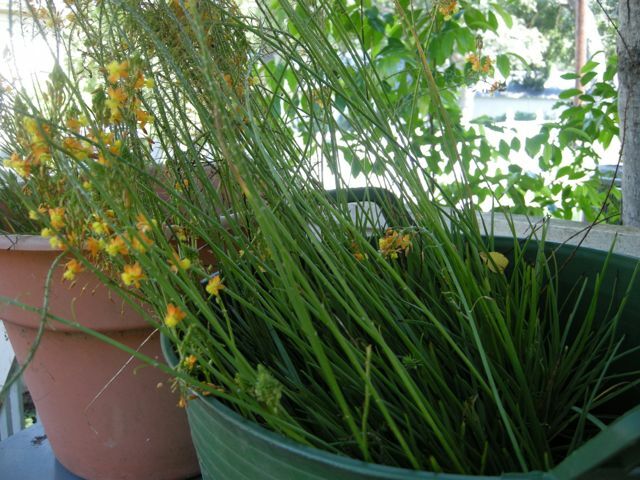 Buckets of bulbine awaiting a new spot in the garden. Excited to get things underway, but it’s hard to say goodbye. This is where Pops’ pitchers come in handy. Boxes of other knick-knacks are still stowed away but this small collection that once belonged to Don’s dad are a fixture on our kitchen windowsill. 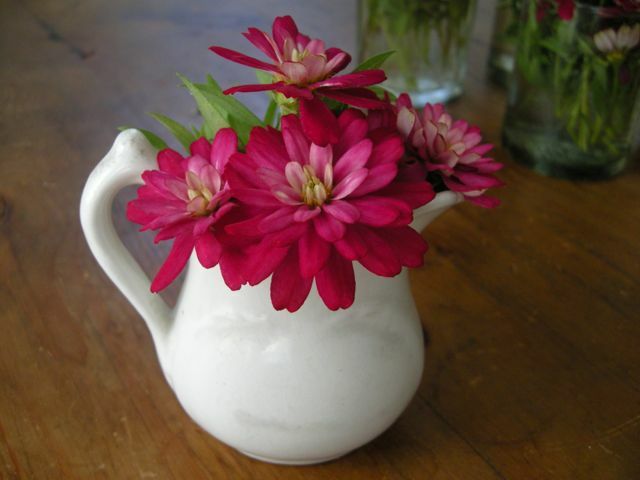 The last of the zinnias, saved for the table. 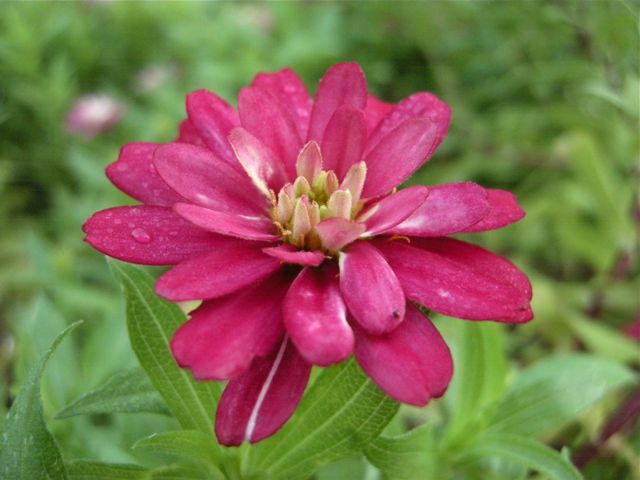 This entry was posted in Garden and tagged garden, zinnias on September 23, 2012 by Molly Glentzer.